I've been quietly working on a new project set to launch in 2014. 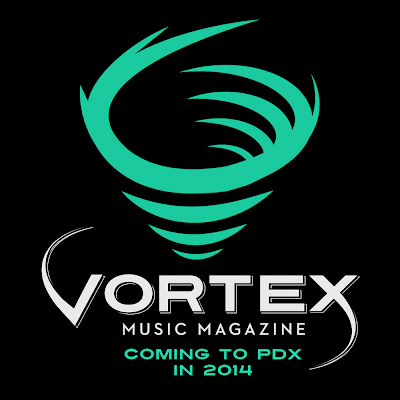 Vortex Music Magazine will be a print and online publication. It's our goal to provide a high-quality magazine and online information source that'll cover the wealth of local talent and the distinctive music community in Portland. We plan to publish serious, long-form journalism paired with phenomenal photography while offering useful resources for Portland’s musicians and music community with a digital focus on providing quick hits of instantly accessible information. Until we have more to show you, please follow us on our various social media accounts to stay in the loop and subscribe to our newsletter for further updates. Vortex has a lot planned in 2014, so stay tuned.